2018 is coming to a close so here are some of my favourite images from the last year. 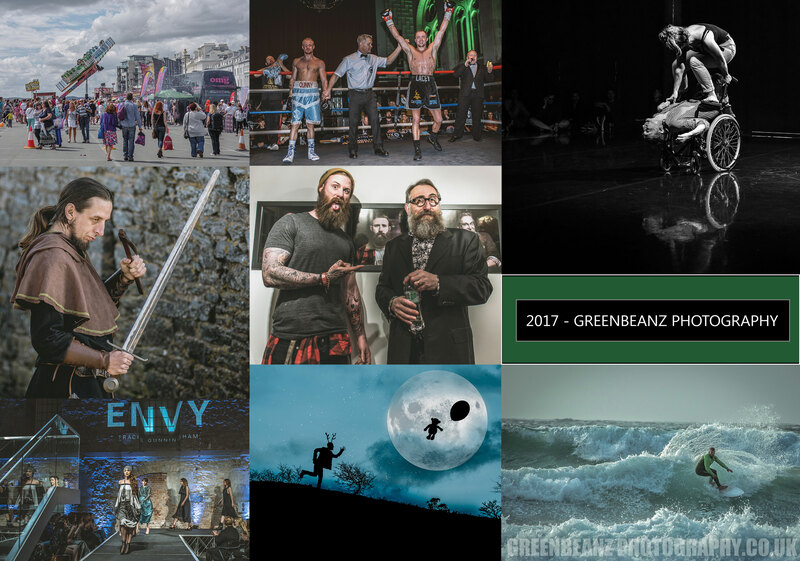 There are some client images that I cannot share for various reasons (Albums are not yet out, tours have not commenced, private celebrations and corporate events that not all involved want to share etc) but here are some memorable photographs I have taken in 2018. Most of the images when clicked will take you to the original gallery they first appeared in or the artists webpage in a seperate tab (on PC and Mac). Enjoy and have a fabulous 2019. Light, they will tell you, is the medium you must paint with as a photographer. It is not as though It will be expected to perform miracles for you under your hands but you will be told that you must work with it less like a sculptor would with organic material and more like a painter trying to capture a moment in time. Your plate, your film, your negative or more accurately today, your camera's sensor will be your canvas ,and on it you must frame and compose passing moments for posterity using your own brilliantly attuned and practised eye to select the perfect moment. Each photograph like some untimely matrimony between Martine McCutcheon and Henri Cartier-Bresson must be decisive and perfect before it passes and is gone forever. And it will be your ability to read light like a fortune teller translating what to everyone else is just plain old builders tea that will endow you with a magic that means you can read the luminant landscape and pick out a vision from the mist. Much of this is misleading or hopeful at best. 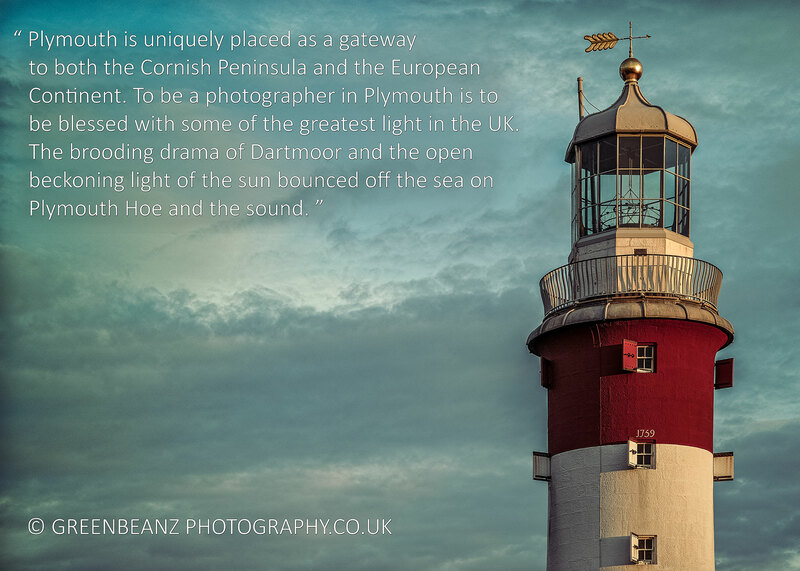 Greenbeanz Photography are very happy to have been asked to document the Plymouth Wedding of David and Anne Marie. 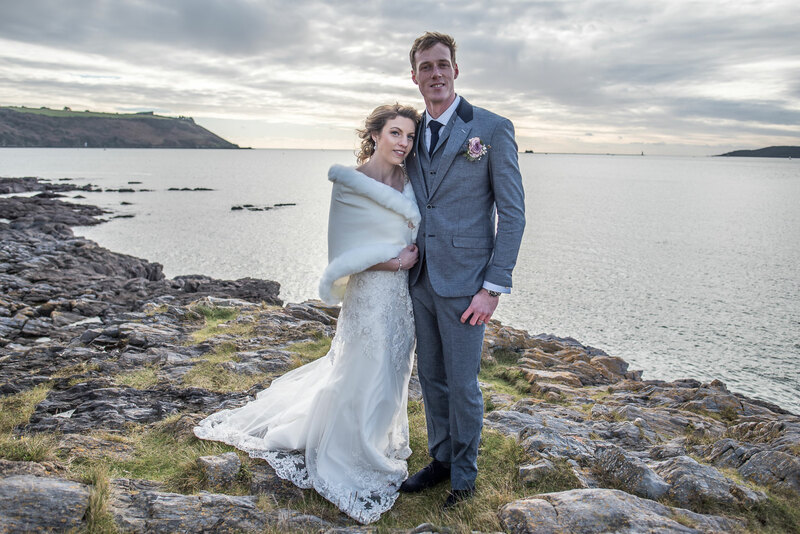 The opportunity to help capture the magic of somebodies special day is not something you take lightly, and the occasion was made even more memorable, by being only the second wedding ceremony to be held at the historic mOUNT BATTEN TOWER. Built in 1652 just after the English Civil war the tower was constructed on the site of an earlier artillery battery but was superseded by Plymouth's Citadel and after being relegated to an observation base it fell out of use but was repaired and refurbished in 2016 to be used as a venue for Wedding ceremonies and other events.The venue is unique and located where it is helped enormously in providing a beautiful backdrop for a bespoke wedding photography experience on the glorious Devon coast of this city. ABOVE : Plymouth Karting UK Go Karts captured in November 2017. The competitive spirit and innate human desire to win, is rarely more obviously demonstrated then when it is played out in a race. We have long been obsessed by racing from the earliest olympics to the space race today we have always placed great value in being first. People will race anything, bikes, boats, planes, even something as lethargic and procrastinating as snails. 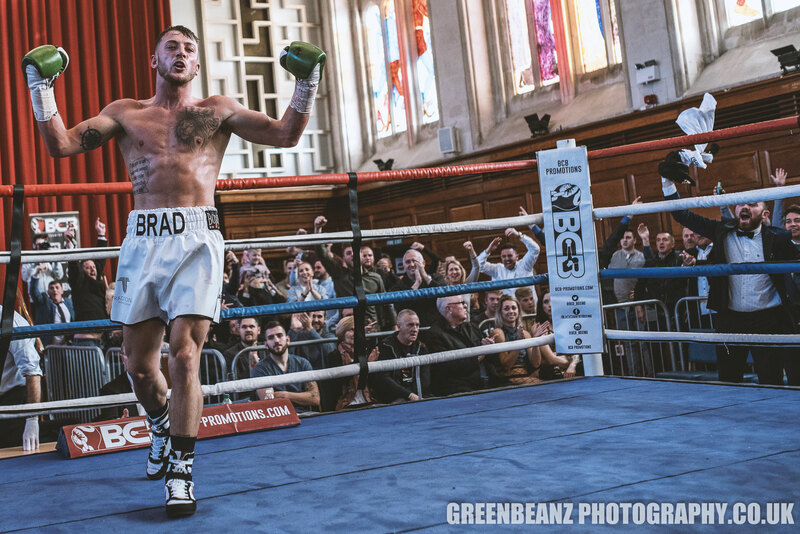 ABOVE : Cornish born UK Boxer Brad Pauls at Plymouth Guildhall November 5th 2017. On Sunday November 5th 2017, BCB and Carl's Boxing Stable, presented an explosive appetiser before the evening's annual bonfire celebrations with a full card of spectacular professional boxing at Plymouth Guildhall. BCB have organised Pro boxing events around the country for some time now and the Plymouth shows just seem to grow each year. The local boxing community is very enthusiastic about supporting such events, it is just a pity that the casual fans, that seem happy to fill the hall for a white collar event when supporting friends and family, do not seem as interested in supporting a full pro card like this, in the same numbers. Those extra tickets sold would enable the promoters to further supplement and build on already great production, with even more exciting match ups to reward the general public. ABOVE : The Zombie walkers in Ivybridge railway station carpark October 28 2017. I am writing this on the 28th of October in the year of 2017. Should you find yourself reading this and wondering what things were like before, then I am afraid time is short and I do not have time to reassure you, but things really were different . Before they came there was light and goodness, and a distinct lack of brain based snacks in a world where screen based charge ups and a ready supply of brawn, were not essential for sustenance. 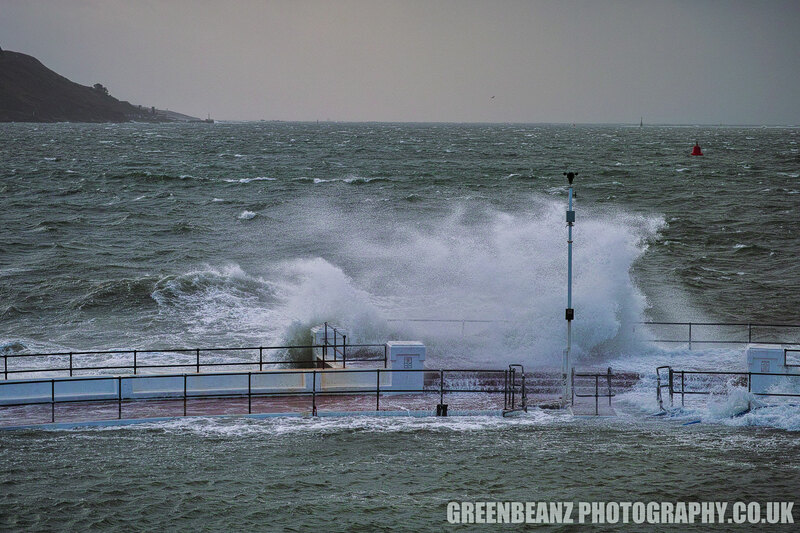 ABOVE : Plymouth Lido is hit by a wave during storm Brian in October 2017. In October 2017 the Devon and Cornwall coastline was visited by the tail end of Ophelia, a downgraded hurricane that had torn through Ireland. and then a couple of days later, Brian, another storm who although not expected to be as strong, coincided with a seasonal high tide. On Saturday October 7th 2017 the annual Devcon, Sci-fi, film and Comic Fair took place at Plymouth Guildhall. Events Frontier have organised the event for some time now and the event just seems to grow each year.The cosplay community is very enthusiatic about supporting such events, and with a host of stalls selling everything from action figures to retro comics and custom made clothing, the convention is always a big hit with the genreral public too. 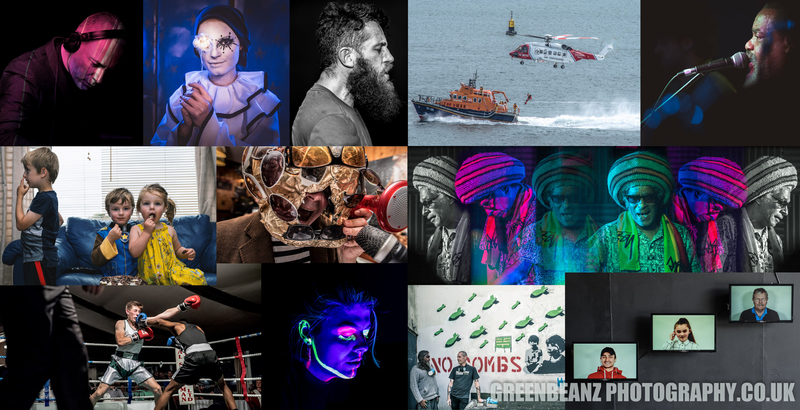 Last weekend the annual Plymouth Art Weekender unfurled in venues across the city, bringing together art lovers and artists from outside and inside the city in a celebration of creativity that focused attention on a vital sector of the regions cultural, economic and educational portfolio. In an effort to create a lasting dialogue between the arts and people, the citywide arts show has pioneered an attitude of openness in presenting work that is truly engaging with the public. From garden sheds to the cities own Council House and Civic Centre, in Devonport Park and Plymouth University, on buses and in tunnels at the Royal William Yard and the Barbican , the work could be found in every corner of Plymouth. 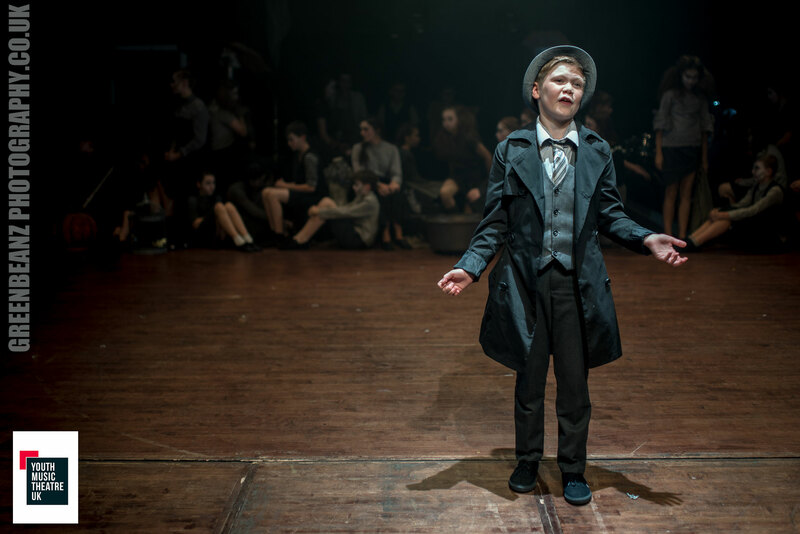 Kevin French is a disabled dancer with cerebral palsy working in Plymouth and currently undertaking his Masters Degree at Plymouth University. Thursday September 20th 2017 was the opening night for an exhibition of drawings of him in his capacity as a life model, but was also the occasion for a live dance performance by Kevin and fellow dancer Chloe Lee. 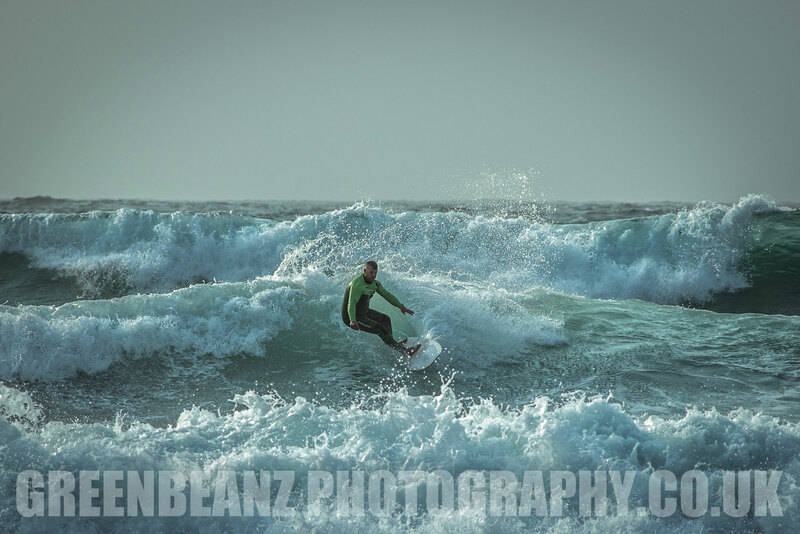 Being in the westcountry, we are lucky to have coast on both sides of Devon and Cornwall, and so there is plenty of opportunities for photographing surfers, professionals and amateurs alike. This time of year, in September after the end of the international boardmasters event, Fistral beach in Newquay is perfect for practising using your auto focus to track action, the bread and butter of sports photography. The car park is right on the edge of the beach making it very accessible, which is important not just for photographers, but for many people like my partner who is disabled, the ability to park so close when mobility is limited, is a real bonus. 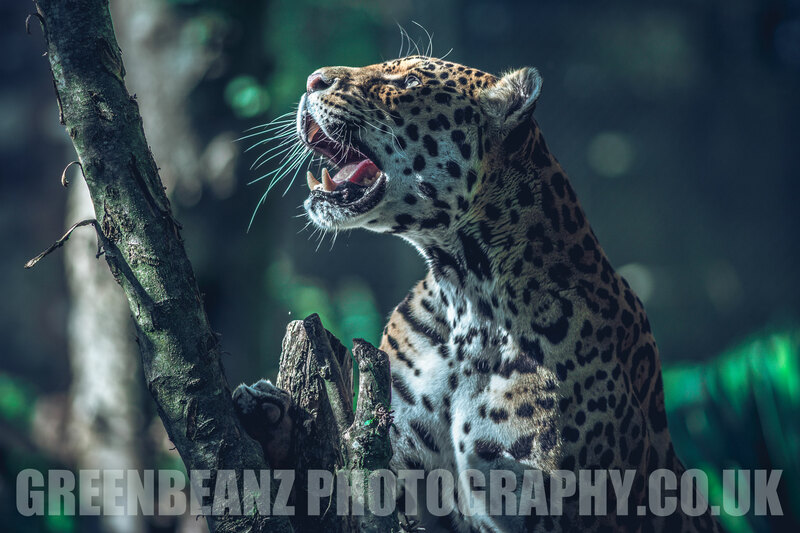 Photographing animals can be among the most rewarding of photography projects to undertake for Professionals and Amateurs alike. There is none of the awkwardness associated with learning to pose models or coaxing your friends and family into looking natural and relaxing in front of the camera, and there is the comforting knowledge that your subject not only has no preconceptions of what the image should look like but also they have no conscious idea of what you are actually doing with that funny little black box held up to your face. Of course one can start with pets at home (and the proliferation of cats single taking over the internet seems to indicate you will find a ready made audience to admire even the most basic of snapshots) or you can venture into the garden to capture birds and other native wildlife, but a great place to learn and hone your craft is the local Zoo or Wildlife park. 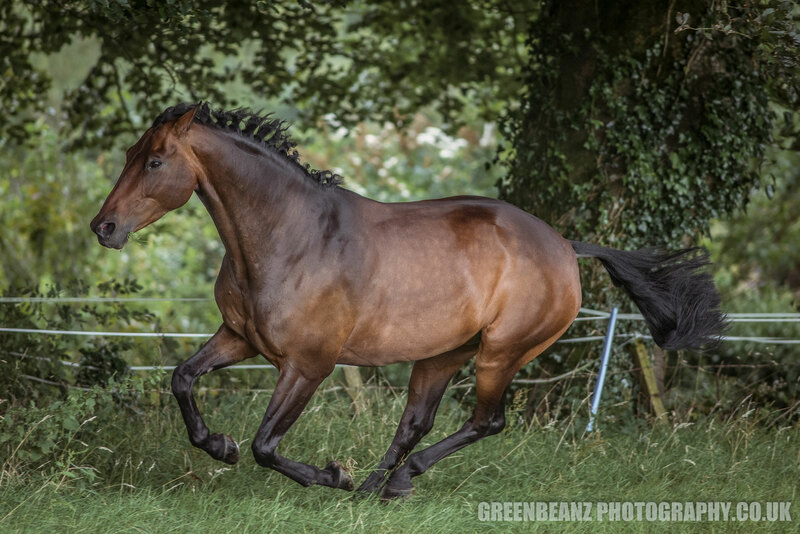 I am lucky enough to have a sister-in-law in Izzy who has devoted her life to horses, and wanted me to take a few shots of her animals, that were unlike the usual posed or competition equine photographs, and showed them displaying natural behaviour, and just kicking back having fun. I will do some work with her when jumping them in competition, but today the brief was entirely different. She also paints and has taken photographs herself all her life and so I handed her the old trusty Nikon D700 and 80mm F1.8 D combination, explained the advantage of decoupling the focus from the shutter action with back Button Focus (which I find essential in action photography like boxing) and we got down to work. 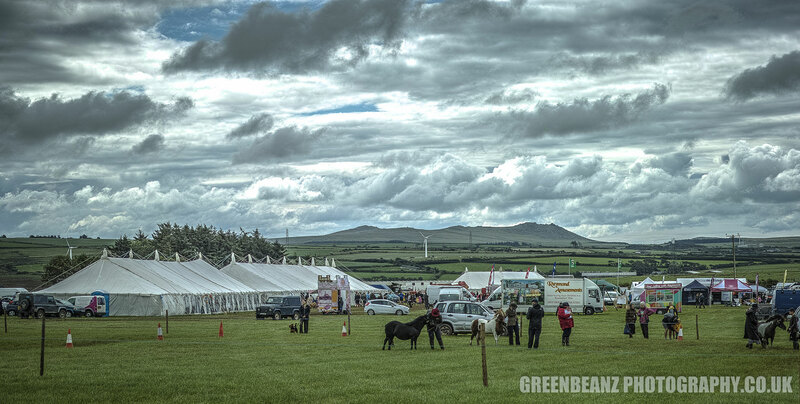 On August 09 2017, Camelford Agricultural Show was held at Halwill Barton by kind permission of the Sanders family. The annual event has classes for Sheep, Cattle. Horses and Poultry and several Dog Shows. This year it was somewhat wet underfoot for August but still well attended and thankfully the rain held off for most of the day.There was also vintage tractors and other vehicles alongside numerous trade stands and marquees including a well stocked food hall. On July 29 2017, Plymouth's Guildhall once again rocked to the sound of local fight fans cheering on their favourites in an action packed night for local and UK boxing. Black Country Boxing and Carl's Boxing Stable Plympton put on a fantastic show displaying the best of the current crop of westcountry fighters. 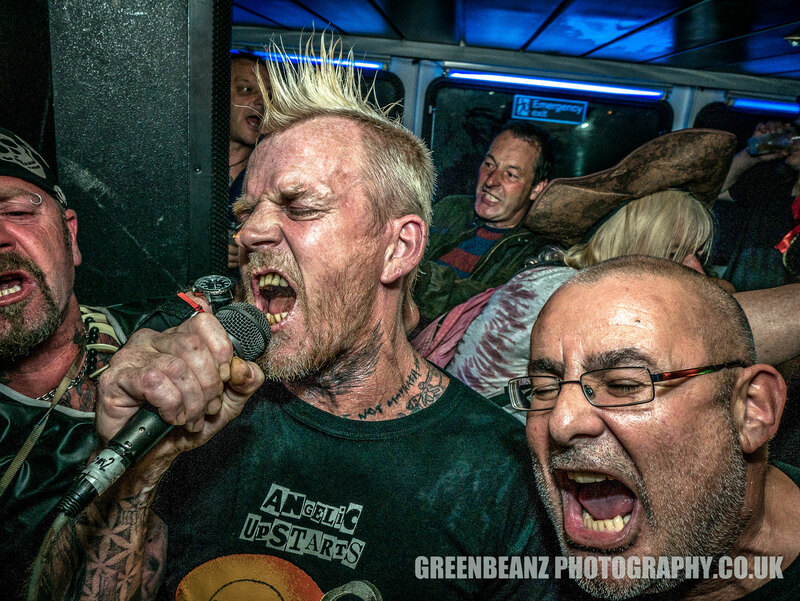 What happens when you get 150+ Plymouth Punk Fans, ask them to dress up as Pirates and then put them on a boat with two of the regions greatest Punk bands for a trip around the Plymouth coast? ABOVE : Smeatons Tower, The Eddystone Lighthouse on Plymouth Hoe. Click for Fine Art Prints. 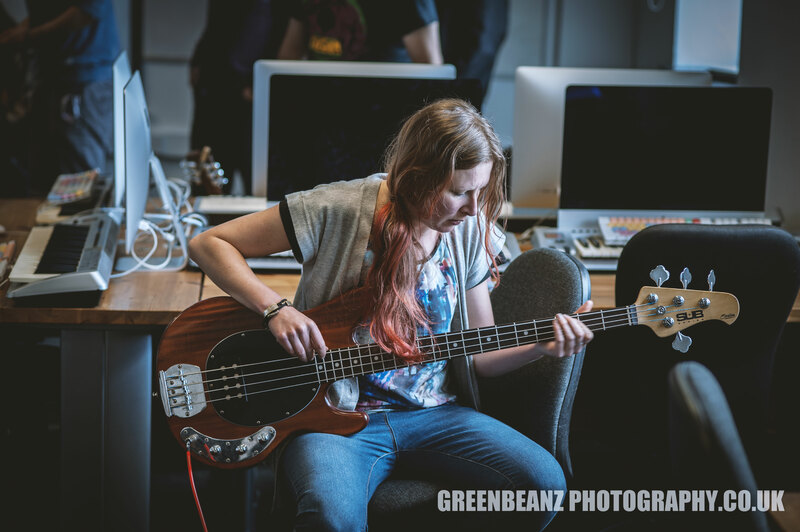 Being a musician, producer and event photographer means one of the places I feel most at home is the recording studio. It is an entirely different challenge though to sitting behind the desk. One of the most important things to remember when photographing a recording session is that at no point should the band , producer, engineer or technicians, have to work around you. Being a Plymouth event photographer covering talks , workshops,exhibitions, performances and pop ups it is rare to be asked to photograph them all in the same day, but on Saturday May 13 at Plymouth's Creative School of Arts that is just what I did. 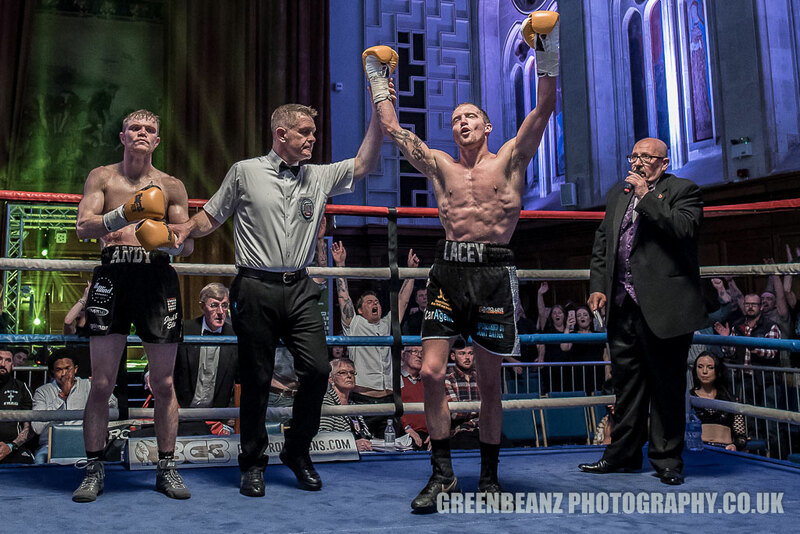 On May 06 2017, Plymouth's Guildhall rocked to the sound of local fight fans cheering on their favourites in an action packed night for local and UK boxing. 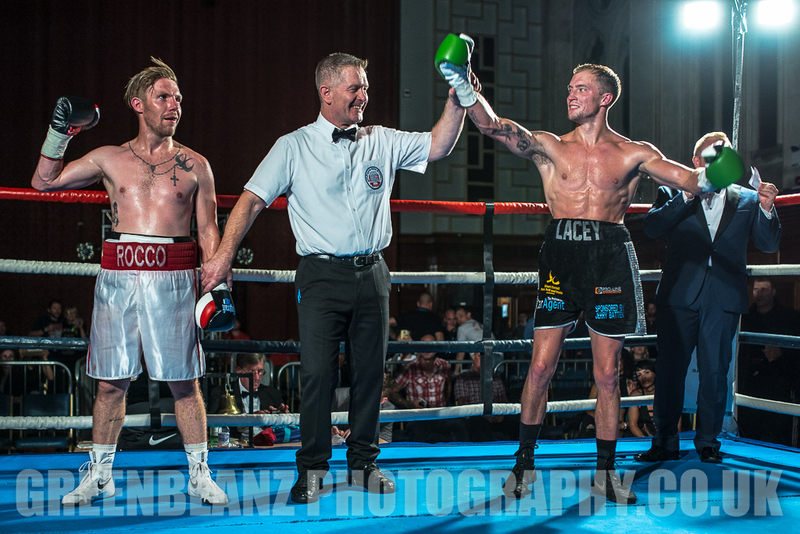 Black Country Boxing and Carl's Boxing Stable Plympton once again put on a fantastic show displaying the best of the current crop of westcountry fighters. Look up. 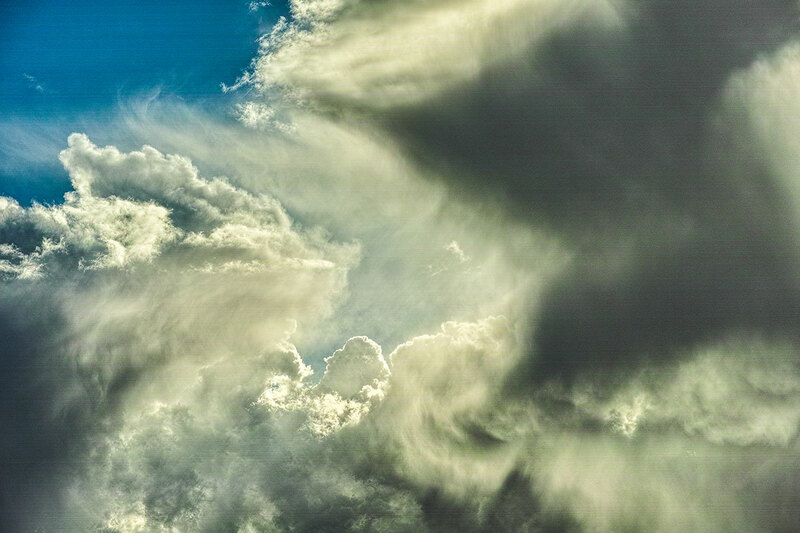 This heaven bound exhortation is one you will be well rewarded for at this time of year, where the combination of blue and skies and fluffy white clouds create a skyscape rich with possibilities. The sky has long been an inspiration for those of us creative people, who have often been chided for having our head in the clouds. For painters, and more recently photographers, the inclination to raise our inclination is almost irresistible at times. Why, you may ask, is this? Plymouth's half marathon got a rebrand this year as Britain's Ocean City Half Marathon 2017.We enjoyed shooting last years run and headed out to capture the participants again. It was a lovely day for it and over 3000 runners took part. Photographing sport here in Plymouth is as important to us as documenting the music and art scenes. In an event like this it is very obvious, but sport as a force for good in the community is there at all levels.